Welcome to one of our favorite Mediterranean restaurant Fairfield CT and Fairfield County CT for that matter! 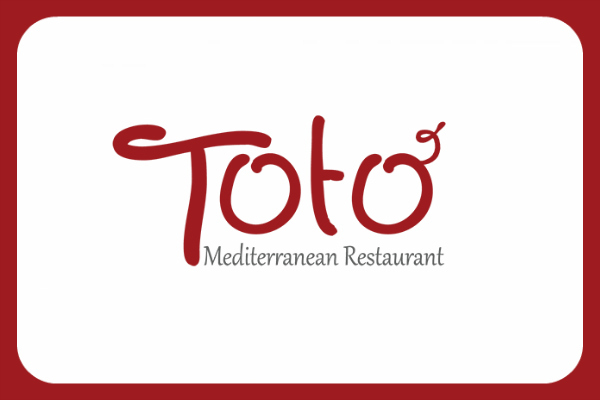 Toto Restaurant located at 70 Reef Rd in Fairfield recently opened its doors and local residents are already gearing up for some of the best Mediterranean inspired dishes in Fairfield CT! Owner Antonio Ninivaggi is changing the landscape for restaurant standards across the county with his natural, GMO free and organic dishes. His passion for good food that is good for you is the reason why customers keep coming back and feel good about what Toto is serving on their tables every night. From Mediterranean Spreads to Grilled Spanish Octopus and the Toto Burger and Gluten Free Pizzas they offer, Toto Restaurant is serving up some incredible food and doing it with some style. This is an extraordinary Mediterranean Restaurant Fairfield CT! A Taste of Life as Toto calls it, Antonio and his amazing staff invite you to taste some of the best food in Fairfield CT! Enjoy some great wines, cocktails and beer while you sample an incredible array of appetizers and an incredible ambiance. Toto Restaurant in Fairfield CT is sure to please and sure to get Fairfield County CT talking fast! We are very happy to welcome everyone to this incredible Restaurant Fairfield CT and we are confident you will love Toto as much as we do! Check out their full menu at TotoRestaurant.com and stop in to see why this may very well be your favorite dining destination this year. Let them know LookCT.com sent you and remember to come back and leave them an honest review! We’re pretty sure you’ll agree this is an amazing Mediterranean Restaurant Fairfield CT! Toto Mediterranean Restaurant – A Taste Of Life.